In 1991 Anton, a ten year old boy, is left alone in a stifling hot apartment and his drug addicted mother does not return. On the seventh day, hot, hungry and scared Anton breaks a window to escape and search for his mother to bring her home to safety. He is temporarily placed in foster care with the Colemans. His mother Juanita is given the maximum of 3 years, which turns into a sentence of a lifetime. The Colemans can offer Anton a life he had never imagined; beautiful home in an exclusive neighborhood, top rated schools with college in his future and all the attention a ten year old boy needs in a eerily quiet home that thought it would never hear laughter again. The Colemans have their own past, their own secrets and although they begin this journey with the best intentions, Antons future is wrapped up in their past. It is many years later when his success exceeds even his wildest dreams that Anton learns the meaning of these simple words: truth, love, mother and father. 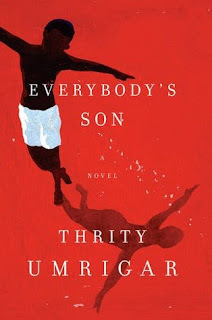 Author Thrity Umrigar has beautifully painted a picture of an incredible journey that will tear out every one of your heartstrings. This novel is full of characters you will be thinking about long after the last page is turned. Highly recommend this unputdownable summer read. DO NOT MISS THIS ONE! YES! So true. I absolutely loved this one. She reminded me of Jodi Picoult, in how well she represented multiple viewpoints. I went from one side to the other and back as I read this novel.